Edison DC Systems, an energy storage startup that graduated Gener8tor’s accelerator program in April, has raised nearly $1.4 million from investors. The round was led by Chicago-based Energy Foundry, with participation by angel investors in Wisconsin, Illinois, and New York, Edison co-founder and CEO John Meinecke said. “This is a great opportunity for them and us,” Meinecke said. Edison has developed a device that stores energy and converts AC power to DC. It’s a topic that Meinecke knows well—he’s worked as an electrical engineer on contract for the Defense Department, designing multi-megawatt systems for the Navy. 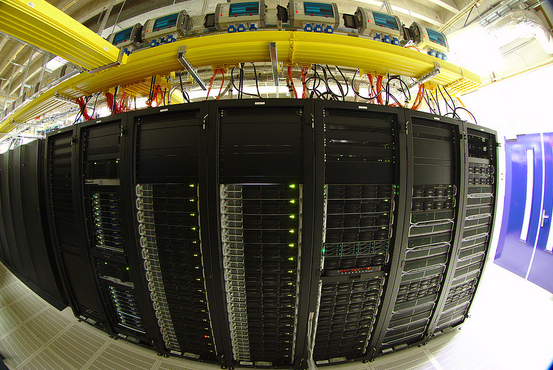 Edison’s target customers are data center operators and cloud service providers, who need huge amounts of electricity to run large banks of servers. The computer microprocessors in those data centers need DC power, but they’re fed from an AC power system. The idea behind Edison’s technology is to deliver power more efficiently, which it says could save data center operators millions of dollars over time. Edison has drawn interest from the likes of Facebook, Microsoft, and Goldman Sachs, Meinecke has said. Last winter, Edison was one of five startups that went through Gener8tor’s three-month accelerator program in Madison, WI. Edison recently moved its headquarters from Grafton, WI, to the Mid-West Energy Research Consortium’s Energy Innovation Center, a startup incubator in Milwaukee. The company also recently opened a sales office in Chicago, Meinecke said. Now, with an infusion of new capital, Edison will move closer to commercializing its product next year. It will use the money for further product development, manufacturing costs, and sales and marketing, Meinecke said. Edison plans to conduct beta tests of its technology next summer with an undisclosed partner in Texas, he added. Edison has hired a handful of employees, with plans to add more next year, Meinecke said.